Cook Children’s Health Care System in Fort Worth, Texas includes one of the nation’s top children’s hospitals as rated by U.S. News & World Report. Over the past ten years, the hospital has undergone a number of expansions in their patient care areas as well as administrative and general facility spaces. 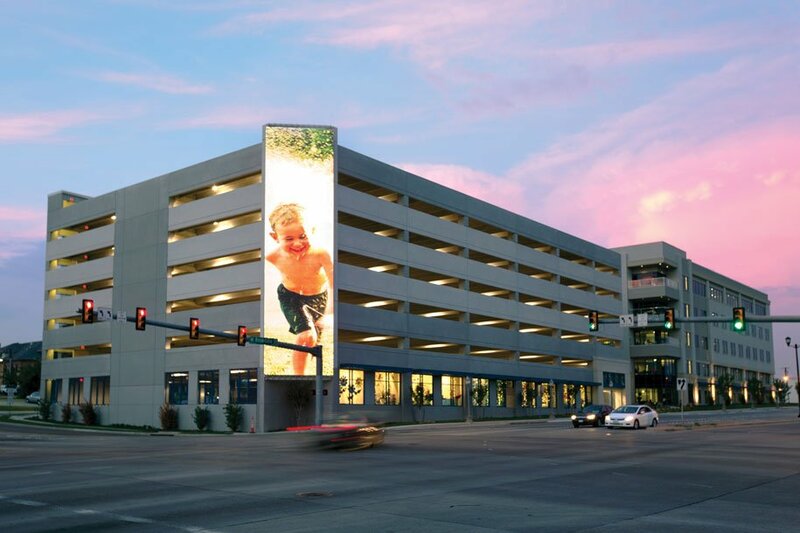 In 2013, a seven-level parking garage was built specifically for employees. While the garage met the functional requirements of providing ample parking, Cook Children’s wanted to provide an enhanced façade at the busy intersection where the garage is located.